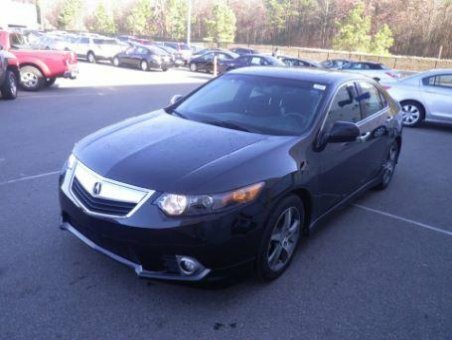 This 2012 Acura TSX 2.4 Special Edition might be just the sedan for you. It has a 2.4 liter 4 Cylinder engine. If you are looking for a well-appointed premium luxury vehicle that delivers ample fuel economy, a simple pricing structure and an envious reliability record, the 2012 Acura TSX is a smart choice. Critics liked the 2012 Acura TSX’s solidly constructed cabin, which features an attractive interior design and premium materials. The TSX earned praise for its roomy and supportive front seats, though some auto writers said that rear-seat passengers may want more legroom. At 14 cubic feet, the TSX’s trunk is large for the class, though hatchbacks like the Audi A3 offer more overall cargo space. The TSX comes standard with features like a moonroof, dual-zone automatic climate control, a seven-speaker audio system, Bluetooth phone and audio streaming, satellite radio, a USB port, leather upholstery and heated, power-adjustable front seats. Available features include a rearview camera, navigation and a 10-speaker ELS surround sound audio system.